"We want to make this as 'for us, by us' a platform as possible," says De Vore. "Going the traditional route means having movies and shows plugged with ads for things that don’t better or enrich our community, which goes against our brands initiative. By selling ad space directly to other Black business owners, we’re able to insure our subscribers experiences stay on code." Advertisers can email ads@xod.tv for more information and to purchase ad space. XOD's monthly subscription plans include Ultra HD and HD streaming (where applicable), and the site is accessible across all desktop, laptop, and mobile devices - with dedicated mobile and TV apps set to debut later this year. The site's social features also include video chatting on movie/series pages, allowing users to connect with each other across streams - and giving advertisers a new opportunity to connect with them. 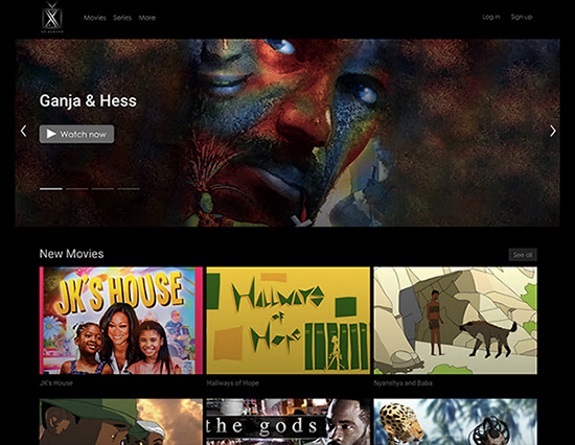 X On Demand, Inc. (xod.tv), a subsidiary of X Marks The Black Holdings, Inc. (xmarkstheblack.com), is an online entertainment streaming platform dedicated to showcasing works by Black filmmakers and content creators within a social media forward platform. If you would like more information about this topic, please contact Eri Washington at press@xmarkstheblack.com.